©BarrySandland/TIMB – The driver was in leather and reflective shades the entire event, adding to the Mad Max image. With Mad Max looming for the return this year, this was a character ride – and another top-15 finish for a basic bicycle construction. 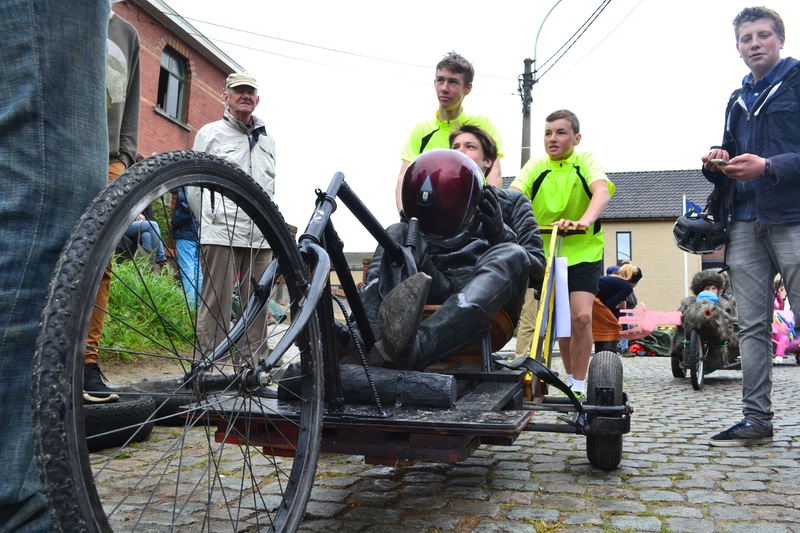 This entry was posted in eccentric, Europe, event, family and tagged 2015, go-cart, May, soapbox. Bookmark the permalink.